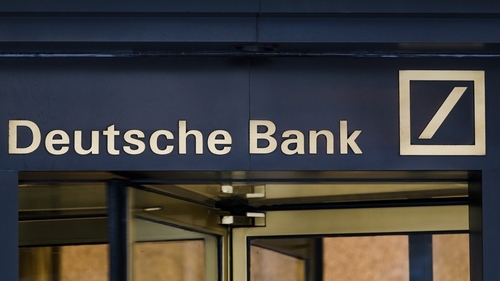 Two US House of Representatives committees have issued subpoenas to multiple financial institutions, including Deutsche Bank, for information on President Donald Trump's finances, according to their Democratic leaders. A 2018 financial disclosure form showed liabilities for Mr Trump of at least $130 million to Deutsche Bank Trust Company Americas, a unit of the German bank. Deutsche Bank said in January, shortly after Democrats took control of the House of Representatives following the November 2018 elections, that it had received an inquiry from the two committees on its ties to the Republican president. Mr Schiff said Deutsche Bank had been cooperative. "We look forward to their continued cooperation and compliance," he said. Kerrie McHugh, a Deutsche Bank spokeswoman, said the bank was engaged in a "productive dialogue" with the two committees. "We remain committed to providing appropriate information to all authorised investigations in a manner consistent with our legal obligations," she said in an emailed statement. The New York Times, which first reported the committees' actions yesterday, said Citigroup Inc, JPMorgan Chase & Co and Bank of America Corp had also received subpoenas.